What is Universal Healthcare & Single Payer? Universal Health Care (UHC) which is also known as universal care, universal coverage or universal health coverage is a term that is used to address a health care system which provides health care and financial protection to every citizen of a specific country. It addresses: Who is covered? What services are covered? How much of the cost is covered? Universal health care was first started in Germany in the year 1883 and spread through other countries especially the rich countries of Europe. America does not practice this type of health right now. Sometimes the universal health care system is referred to as free health care (in Canada). In a real world, there is nothing like a free health care, somebody is actually paying for it. The Pros of UHC: *This is perhaps the greatest advantage of universal health care, every member of the society that practice this type of health plan can be able to access health care no matter his social status. Since no single human life is greater to another, the poor can be able to receive exactly the type of health care that could only be afforded by rich men under normal circumstances. This type of health care does not discriminate against anyone. It puts all the legal members of the society on the equal pedestal. It also improves public health, has less paperwork, stops medical bankruptcies, benefits businesses, boosts economy and is seen as a human right. The Cons of UHC: *This is perhaps the least advantage: Long Wait Time. This type of health care system often results in long wait times for patients and not everyone may receive the type of care that they need. Since this type of system is run by the government there can be a lot of red tape and bureaucracy. It Leads to A Socialism State. Bernie Sanders has been criticized that his universal health care plan is such an un-fetched dream. To make this happen, he admitted that he would have to increase taxes to every citizen, which can plunge United States into a socialism state where government controls the distribution of goods and services. It could be a first step towards government controlling other aspects of the economy. The universal health care will reduce the amount of money doctors can make thereby reducing the attraction in the practice. This could create shortage of doctors in the long-run.Those with higher incomes may complain that their money is going to pay for the health care of other citizens when it should be going to pay for their own health care. Medical Abuse (unnecessary visits by patients) can lead to Rationing and cause backups in office visits. There Is No Free Lunch There will be an increase in taxes. If there is no competition between choosing a doctor, there may be no Innovation thereby reducing the attraction in the practice. This could create shortage of doctors in the long-run. And it takes time to put this new system in place; to get there, may take a long haul in time. **Increase Government Debt: This is probably the biggest argument against universal health care. Implementing a single payer health care system causes an increase in taxes as the system needs to be paid for. The overall costs of the system can be draining on a country and causes large debts & would amount to enormous growth in government spending and debt. Governments aren’t that great at running large systems and the fact that the government runs health care can lead to a lot of problems. To run the health care system there may need to be cuts made in other areas of the government. Universal care coverage and single payer system may be confused for one another because they are closely related concepts however they are two separate things. Whereas, a single payer system is the type of healthcare plan where one party mostly the government, will be responsible for paying all healthcare claims. Currently, the type of health care system in place in United States is the one where separate private insurance companies are charged with paying for the healthcare claims of the rich few who were able to afford the insurance while federal and state government pay some special healthcare care claims through the programs known as Medicaid and Obamacare. It’s a fact – the older you get, the wiser you are. Now that’s a comforting thought. According to the daily news media, research supported by the Russell Sage (no pun intended) Foundation, the National Institute on Aging and the National Science Foundation Grant, indicates that socially, older folks, more than younger or middle-aged ones, are more apt to recognize and accept different values, acknowledge and accept uncertainties and changes in one’s life and to acknowledge others’ point of views. So, mind and hire your elders! It’s not as important in life and work to know how the SEO works or how to program the DVR or how to text someone as it is to handle ‘social wisdom’ – how to get along with people and handle disagreements. Researchers found that age affects wisdom at every social class, level of education and IQ. Even though older people don’t have the technological wisdom that younger ages have in computers and everyday technology, they do have the advantage of analyzing and solving social problems. Demographic splits of groups numbering almost 300 — ages 25 to 40, 41 to 59 and 60 plus were given hypothetical situations regarding finance, economic growth, customs, and world problems. The researchers analyzed the results, not knowing which individual or group age the responses came from. Ratings were based on social interchanges such as compromise, flexibility, seeing the other viewpoint and mediating conflict resolution. Then over 200 of the same groups participated in a second hypothetical area and yet a third comprising scholars, psychotherapists, clergy and counseling professionals. She continues, “What I think is most important…is that it shows a major benefit that accrues with aging…rather than the mostly loss-based findings reported in psychology. As such it provides a richer base of understanding of aging processes.” She also cited the critical importance of workplaces providing the opportunity for older employees to continue to contribute. 1. They have good leadership skills. Older workers make good leaders because they often have stronger communication skills than their younger colleagues. They remember a time when communication wasn’t dominated by email or texting. 2. They know what they want. Older workers are more stable to stay at a job than to try to ‘climb the ladder” or job hop. 3. They’re loyal. Since older workers are typically more satisfied with their jobs, they also tend to stay. 4. They have a good work ethic. 90 percent of the respondents who were older said that being “ethical” is “extremely or very important” to workplace culture, the highest percentage of age-workers. 5. They have strong networks. Older workers have been in the workforce longer and they’ve had more time to meet people and network along the way. This past week, I was reminded by three different sources to be still and know God. I consider this a Godwink so I will pass this important message on. God talks to us in Psalm 46:10 and says, “Be Still and Know That I am God”. How often do we sit still? We have cell phones, IPods & Androids vying for our attention. The TV is constantly on – so is the fax machine and the computer. Company is coming. have to pick up the grandkids later and someone’s beeping to chat with you on Skype. Lots of noises going on …..How do we get ‘still’? Let’s look at Jesus. Even in his busy ministry he got still…with God. He would go out alone in the desert. He would pray and be still with God. Doing so, he was refreshed and renewed. Some say, “I don’t know what to say to God”. God made you and He knows all about you already. Just talk to Him in plain language. You don’t have to use thys, thees and thous. He’ll be happy just to hear from you. And he will change your life. This is not a wish. This is a fact. You will become aware of life in a way different from how you are living it now. if you start speaking to God, you will add joy, love, kindness, forgiveness and acceptance of who you and others are. He made you and loves you no matter what you are, say or have done. Who else can you say that about? Jesus will become your best friend. Who will never forsake you. Try it. Go alone into a quiet room, shut the door and turn off all technology. Be still and focus on Him alone and not the things you have listed to do that day. You may start by thanking him for all the good things in life He has given you — yes, there are far more than the problems you are facing which overshadow them. Get to really know God. Listen in silence to what you may hear or think about. When you are quiet, you will open your heart and soul to Him. God tells us through His Words, “You will seek me and find me when you seek me with all your heart.” It will change your life. Not only is it guaranteed; the warranty will last forever. Marie Coppola © Revised July 2017. A Coincidence or a God Wink? Some time ago I read a book entitled “When God Winks at You” by SQuire Rushnell. It is a great, little 232-page book of short stories about famous and not-so-famous persons who experience what they believe are “special messages from God ~ a Godwink ~ to let them know that He’s there and that He’s listening”. And maybe telling you something. Sometimes it’s directed to a person and sometimes it’s through others. 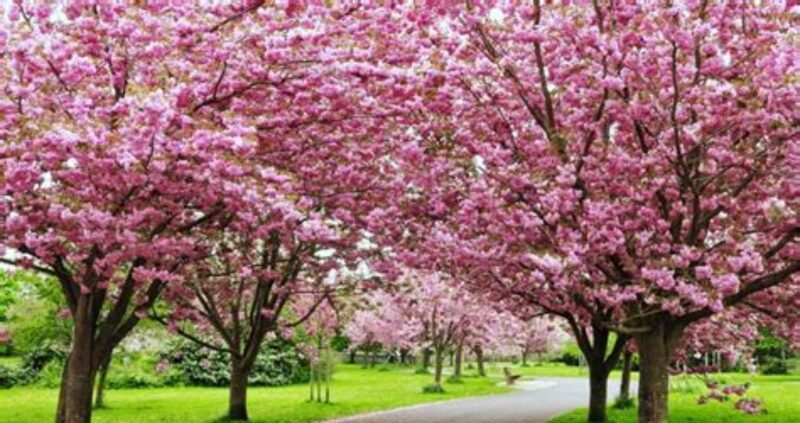 We all experience these moments – a connection through someone or a chance occurrence that makes one think, “that was strange.” We can learn to recognize and appreciate them as messages – if we only keep our minds, eyes and heart open to them. I experienced one. A good friend who was going through a stressful time wasn’t thinking clearly and felt that God wasn’t listening to her or giving her any paths to follow. I told her about the Godwinks book – how it was comforting – and said I could get a copy for her. She was agreeable. Later that same day, I was going to a thrift shop to drop off some things. When I got there, my eye spotted a necklace at the jewelry booth. 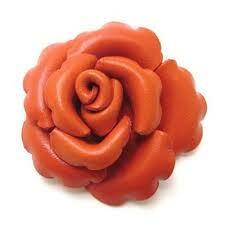 It was a rose replica of the exact design, color and material of a pin that my mother used to wear many years ago. It was given to me after her death. I had kept this special pin for many years and recently gave it to my sister because her middle name is Rose ~ the same as our mother’s name. I looked at the necklace a long time and then put the necklace back on the display thinking that I would come back and buy it after my drop off. 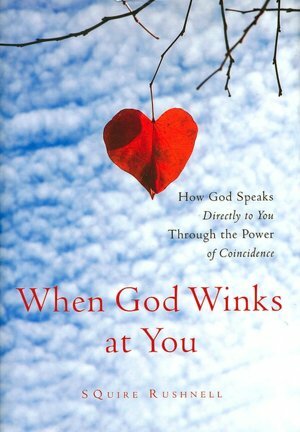 When I was finished, I turned around and noticed a books for sale table and the first book I saw was “When God Winks at You”. Thinking this was a Godwink as I had just mentioned it, I purchased it for my friend. Behind me was the jewelry booth and I decided to look at the necklace again. It was off the display where it had been hanging. Feeling disappointed and turning to leave, for some reason, I looked down and there was the necklace at the tip of my shoe. I picked it up and marvelled that it was not only still there ~~ but right in front of me. I just stared at it. The seller looked at me and asked if something was wrong. I said, “This is just like the rose that my mother used to wear.” She told me to enjoy it as a gift from her. Feeling uplifted, I put the necklace on thinking it wasn’t just a coincidence that I had ‘found’ it. I stopped by my friend’s house to give her the book. When she opened the door, she looked at me and my necklace and exclaimed, “That’s the necklace I donated to the school’s fund-raising project! !” A double Godwink? I never think about getting something in return when I give, but it always happens in some way. I gave my sister my mother’s rose and I got my mother’s rose back. A coincidence or a Godwink?